The bus station of La Défense has been renewed. It now works as a huge machine. People wait for their bus behind a glass door, which opens only when the bus arrives. There are as many doors as there are buses. 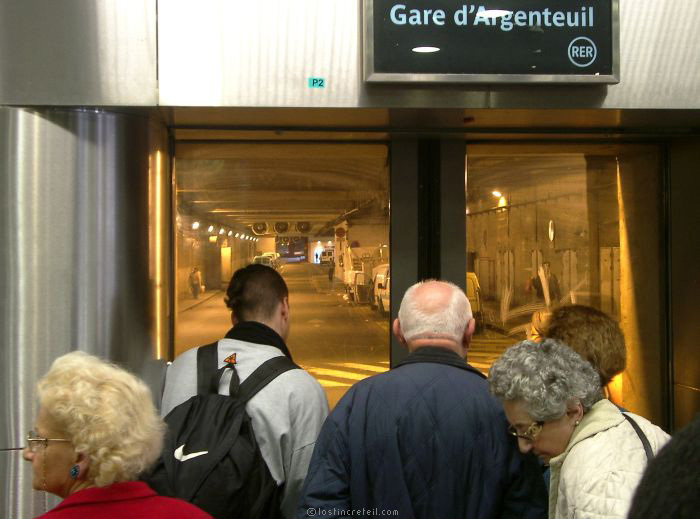 Then, they are allowed to enter the fantastic subterranean roads of La Défense, alas, only for one second, just the time it takes to climb in the bus. Yet, one can escape and stroll around for a nice promenade, 100% surrounded by concrete.